Religious Experience, Religious Worldviews, and Near-Death Studies • Gracia Fay Ellwood, Ph.D. Response to Gracia Fay Ellwood's "Religious Experience, Religious Worldviews, and Near-Death Studies" • Michael Sabom, M.D. A Comparison of Other World Perceptions by Near-Death Experiencers and by the Marian Visionaries of Medjugorje • Craig R. Lundahl, Ph.D.
Letter to the Editor: Craig Lundahl responds • Craig R. Lundahl, Ph.D.
Letter to the Editor: Review of The eternal journey • Harold A. Widdison, Ph.D., & Craig R. Lundahl, Ph.D.
Letter to the Editor: Review of The near-death experience: A reader • Lee W. Bailey, Ph.D. The Near-Death Experience as a Product of Isolated Subcortical Brain Function • George E. Wettach, M.D. Three Fictional Deaths Compared with the Near-Death Experience • Brock Haussamen, M.A. A Near-Death Experience Followed by the Visitation of an "Angel-Like" Being • Richard J. Bonenfant, Ph.D.
Book Review: Lessons from the Light: What We Can Learn from the Near-Death Experience, by Kenneth Ring, & Evelyn Elsaesser Valarino • Reviewed by Michael Grosso, Ph.D.
Book Review: On the Other Side of Life: Exploring the Phenomenon of the Near-Death Experience, by Evelyn Elsaesser Valarino • Reviewed by Emily Williams Kelly, Ph.D.
Letter to the Editor: "Vision" in NDEs or expanded consciousness? • Melvin Morse, M.D. Letter to the Editor:The Archives of Scientists' Transcendent Experiences (TASTE). • Charles T. Tart, Ph.D.
A "Little Death": The Near-Death Experience and Tibetan Delogs • Lee W. Bailey, Ph.D.
Book Review: The Division of Consciousness: The Secret Afterlife of the Human Psyche, by Peter Novak • Reviewed by Bill Lanning, Ph.D.
Letter to the Editor: More on Psychomanteum Experimentation • Carla Wills-Brandon, Ph.D.
Letter to the Editor: EMDR, ADCs, NDEs, and the Resolution of Loss. • Bruce J. Horacek, Ph.D.
Letter to the Editor: Allan Botkin Responds • Allan L. Botkin, Psy.D. Letter to the Editor: Religious Wars in the NDE Movement • Jenny Wade, Ph.D.
Letter to the Editor: Religious Wars in the NDE Movement • Barbara Harris Whitfield, R.T., C.M.T. 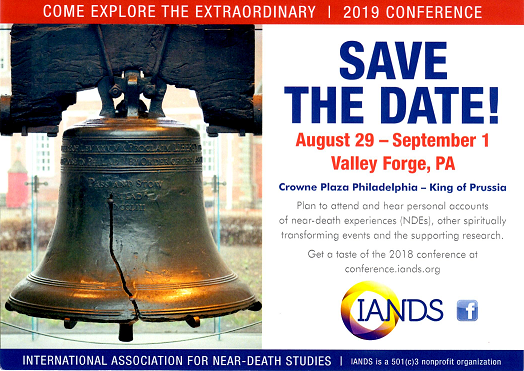 The Near-Death Experience as a Shamanic Initiation: A Case Study • J. Timothy Green, Ph.D.
Near-Death Experience: Knowledge and Attitudes of College Students • Kay E. Ketzenberger, Ph.D. & Ginal L. Keim, B.A. Prophetic Revelations in Near-Death Experiences • Craig R. Lundahl, Ph.D.
Book Review: Children of the New Millenium: Children's Near-Death Experiences and the Evolution of Humankind, by P. M. H. Atwater • Reviewed by Thomas A. Angerpointner, M.D., Ph.D.
Book Review: Children of the New Millenium: Children's Near-Death Experiences and the Evolution of Humankind, by P. M. H. Atwater • Reviewed by Harold A. Widdison, Ph.D.